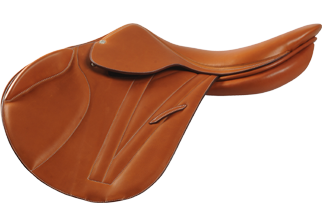 This beautiful jumping saddle is handcrafted in the Butet workshop in Saumur, France. With a half deep seat, this is one of the original Butet saddles and still many people’s favourite. 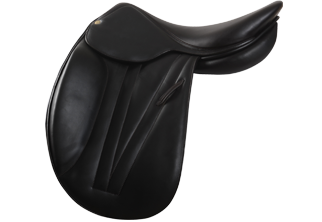 Narrow through the twist, this saddle offers an unrivalled close contact feel with the rider truly as one with the horse. As with all Butet saddles, the materials used are second to none. 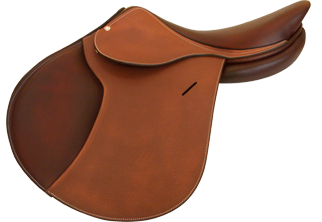 The doubled calfskin used on the seat and knee rolls is soft and supple, whilst the cow hide used for the rest of the saddle is hardwearing and durable. The latex injected panels heat up with the horse’s body heat and mould to the shape of the horse. Kelvin Grove Equestrian and Butet both pride ourselves on our high level of customer service and after sales care. Our aim is for the service that we provide, to match the quality of the product that we sell. 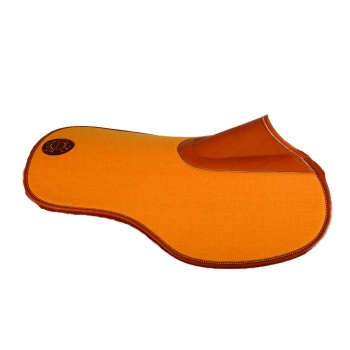 Butet saddles are tailor made to suit both horse and rider and as such, are unavailable to order online. Please call Mario on 0418 167327 to discuss your requirements or to book an appointment for him to come and visit you.